Can a 10 Minute Mindfulness Exercise Make a Difference? As January takes hold and the dark nights and bad weather overwhelm us, it’s easy to end up feeling a bit low. It’s peak time for illness, divorce, and depression….sigh. Which is why it could be an excellent time to try out a simple mindfulness exercise which could give you a huge mood boost! I have written before about the many benefits of mindfulness (see Mindfulness and Stress). There is a growing body of bona fide research demonstrating how mindfulness can help with all sorts of stress and depression. In Your Happiness Audit there is a link to a book I highly recommend which will give you some of the sources of that research if you’d like to know more. 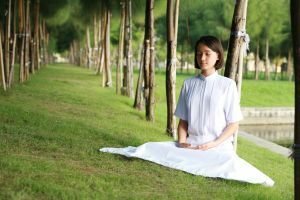 But reading about it is one thing, hearing it another, so I’m really pleased to share this BBC link with you for a ten minute mindfulness exercise that it very easy to do and may just become a good habit for 2012. It was part of a happiness challenge the BBC were promoting last year and it’s perfect to do in a spare ten minutes when sitting at your desk. I frequently recommend this to women when coaching and we do a modified version on my women’s courses. It’s not for everyone but if it works for you you’ve discovered a great resource for life! Here is the link to BBC Happiness/Health/Mindfulness. Why not try it for just one week and see how you get on? And please do share your experiences with us!